« Can-Am Renegade 500/570/800/850/1000 (Gen 2) All Models Metal Aftermarket Floorboards $245.00 FREE SHIPPING! Want to run bigger tires without modifying your bike to much? Wild Boar ATV has you covered! 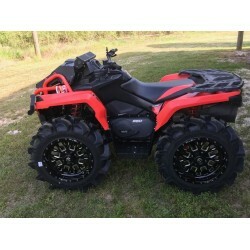 Check out our latest product for the Can-Am Outlander!